The Jaguar F-Type SVR will make its ‘dynamic debut’ at the 2016 Goodwood Festival of Speed. It will take to the famous hill climb over the Festival weekend, plus visitors will be able to get up close to the car on the Jaguar Land Rover stand. 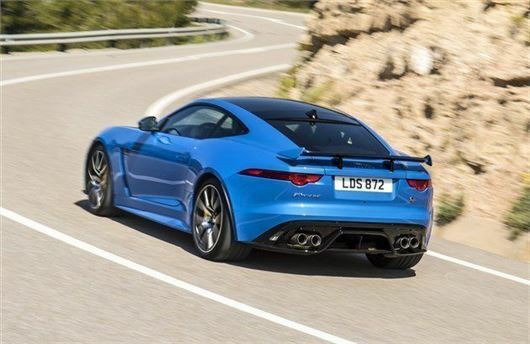 With a top speed of 200mph and a 0-60mph sprint time of 3.5 seconds, the SVR is the fastest F-Type yet. Its 5.0-litre V8 engine produces 575PS and 700Nm of torque, which is sent to all four wheels. It also has a bespoke titanium exhaust to lower weight and improve the sound. The £110,000 F-Type SVR goes on sale in July. You can read our road test here.